For ALL firearm purchases please remember that you must provide a valid government issued ID with photo and current address. We can not release a firearm without up-to-date government issued ID. 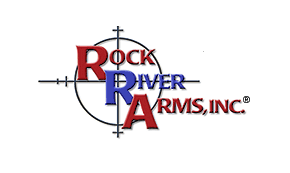 All firearms, magazines, receivers and restricted law enforcement items are sold and shipped in accordance with all existing federal, state and local laws and regulations. Firearms will ONLY be shipped to licensed FFL dealers. Many of the firearms, magazines and parts for sale on this website may be restricted or prohibited in your area. Please check your local and state regulations before ordering. Firearm sales are FINAL. All new firearms are shipped in the original manufacturer's box, with magazine(s), accessories and applicable warranty. Firearms requiring warranty work must be returned to the manufacturer for repair. Please contact the original manufacturer for warranty information on all accessories and special order items. Ammunition can only be purchased by an adult 21 years of age or older. A photocopy of the purchaser's current government issued identification, such as a Driver's License or Firearm Owner ID Card, is REQUIRED to validate age. Please reference the order number and email the photo ID copy to sales@hilltopgunshop.com within 48 hours of the purchase. Always make sure to use the correct ammunition for your specific firearms. Check your local laws for any other regulations. By ordering Ammunition, you certify you are of legal age and satisfy all federal, state and local legal/regulatory requirements to purchase this Ammunition. Due to safety considerations and legal/regulatory reasons, Ammunition sales are FINAL. The seller provides all descriptions for used items. All descriptions for used items are honest and based on actual items being offered for sale. Items being sold in this manner will be marked as such. Photos will be provided when available. All sales on used items are FINAL. We do not ship to Alaska, California, Hawaii or US Territories. If, for any reason, you cancel your order after payment, shipping will not be refunded. A gift card may be issued if the purchase occurs in an approved state. Orders that are shipped to store for pick-up are not charged shipping or firearm transfer fees! Shipping cost and carrier selection is automatically done based upon the lowest cost option we have with our partners. It will be calculated in your shopping cart prior to checkout. 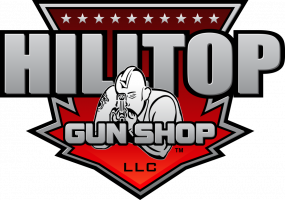 If you are not shipping your order to our store and your state or jurisdiction requires additional information like a FOID card be provided for Ammo or Firearm shipments, please email a copy to sales@hilltopgunshop.com within 2 business days of your order. Orders not meeting state or local requirements will not be completed and considered a return. Please see our Policies page for information on fee's charged to returns or denied orders. If you are not satisfied with your purchase, please contact us for a Return Merchandise Authorization (RMA) request within 10 business days of the receipt of the product. If the item is returned un-opened in the original box, we will exchange it, offer you store credit, or offer you a refund, less 10% restocking fee, based on your original method of payment. The product must be returned within 10 business days of the issuance of the RMA. All products must be packed in the original packaging, including any accessories, manuals, documentation and registration that shipped with the product. A 15% open box fee in addition to the 10% restocking fee (totaling 25%) will be assessed on any sealed product that is opened or removed from its original packaging. You are responsible for knowing your local and state laws! If you are unsure if an item is permitted in your jurisdiction, please contact your local authorities before attempting a purchase. If you have purchased an item that is restricted in your state or local jurisdiction, we will consider it an "open box" return. 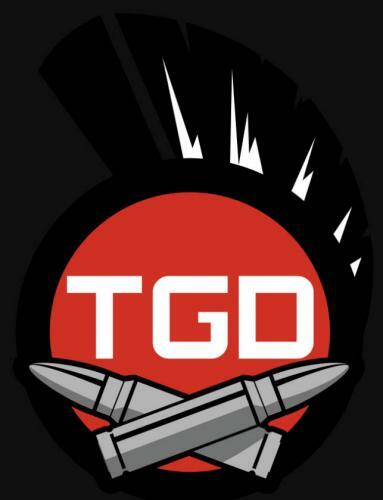 If documentation like a FOID card or similar is needed to complete your order, please email it to sales@hilltopgunshop.com within 2 business days of completing your order. Failure to provide needed documentation to complete your order will be considered an "open box" return. You will be charged a 25% restocking fee prior to refunding your account. 7. Shipping and Handling Fees. If you encounter any problems with your order or the checkout process, or if you have any questions about the status of your order, simply contact our customer service staff through our Contact Us page or at sales@hilltopgunshop.com. All orders are shipped promptly from our warehouse or in-store inventory within 3 - 10 business days using UPS, FedEx, or USPS. Tracking numbers are available for items shipped via USPS, UPS and FedEx. We do not accept and are not licensed to proccess NFA related transfers. An NFA item includes but is not limited to: any Machine Gun, Suppressor/Silencer, AOW (Any Other Weapon), Destructive Device, and Short Barreled Rifle.